Traditional Swiss recipe for supporting the normal recovery from acute and chronic stresses and strains to the musculo-skeletal system. Organic fresh-plant Mother Tinctures (30% v/w) of: Comfrey, St. John’s Wort, Rue and Arnica in a natural aqueous base. 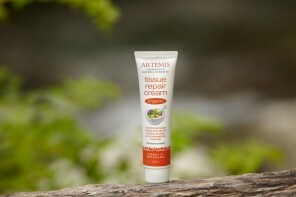 This is a high potency Arnica cream. No parabens or paraffin. Fragrance free. Apply to affected area 3-4 times daily. Can be used more frequently in acute conditions. Over-sensitivity to any of the ingredients; allergies towards members of the Compositae family (Arnica) and Rue. External use only. Do not apply to broken skin. Discontinue use if irritation occurs. If symptoms persist, see your health professional. Keep out of direct sunlight in a cool place. Close lid firmly after use.